As co-founders of the ongoing EdgeLab experiment, Lauren and Shiloh have helped to catalyze a living network of 21st century change agents focused on business innovation, systems change, and developing network ecosystems for other groups around the world. 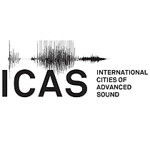 I.C.A.S is a global network of 40 independent non-profit organizations dedicated to advancing sound cultures, music and related arts worldwide. Lauren has worked with participants in building practical plans to support festivals, artists, and cultural workers worldwide and aid them in designing basic operations, teams, and organizational structure that would support the network’s emphasis on innovation, flexibility, and long-term sustainability. Living Mandala is an educational outfit that offers action learning and community development through providing curation, program design, event production, and marketing outreach for a network of ecovillage developers, permaculturalists and regenerative educators. Shiloh continues to provide Organizational Development consulting and Strategic Planning support to the core teams of Living Mandala as they grow their business, design there governance structure and align their vision with strategic action. :: We scout the edge of innovation and develop working solutions now. :: We practice creative, rigorous and helpful design for human systems characterized by superb design science, engagement in collective intelligence and the integration of living systems principles. :: We employ a comprehensive methodology emphasizing clear and concise communication with vivid possibility. :: We deliver the art and science of collaboration together with effective results.